Setting your attendance for a game or training is one of our most popular features in Teamstuff, and we understand that a well-organised and successful team is based on players attending games and training sessions. And Teamstuff can help with that. 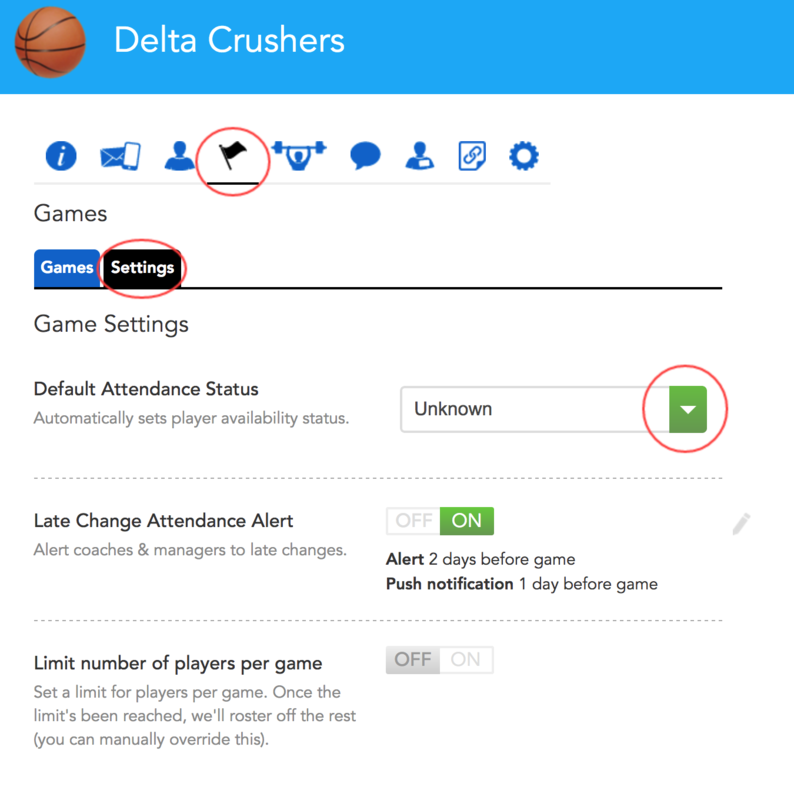 Each team has a great little feature that allows team coaches and managers to set the Default Attendance status for games or trainings sessions. Change the default attendance for Games. You'll be provided with two tabs 'Games', and 'Settings'. Select Settings. From there, you'll see Default Attendance Status with a drop-down to the right. Select your preferred status, and don't forget to Save. You can then repeat the same steps for Training sessions. The default attendance setting for Games and Training sessions are independent of each other - you can have any combination you need.